As some of you may be aware, there is a new movie about Jimi Hendrix that is being released in the theatres soon. 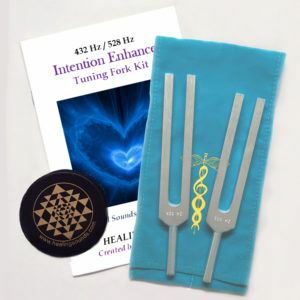 As I noted in an article last time, when I first got into the realm of sound healing, I stopped playing electric guitar for a while, until I came upon that all important formula—“Frequency + Intent = Healing” and realized that it was not the genre of music that was most important, but rather the person (or group) playing the music, as well as the song that was being played. One of the great heroes of my youth was Jimi Hendrix. In truth, I don’t think I really came to appreciate his virtuosity until after his passage in 1970. At the time, I just thought of him as one of the more outrageous musicians and songwriters who existed during this period. It was only later that I come to realize not only how extraordinary his playing was, but how he literally (along with the Beatles) affected the very sounds that manifested in the recording studio. Like the Beatles who relied on producer George Martin, Hendrix utilized studio wizard Eddie Kramer to help achieve some of his extraordinary sounds. No doubt, that as a human, Jimi Hendrix certainly had his difficulties. He was not necessarily a person whose behavior was to be emulated. Nevertheless, his playing was outrageous and has become legendary. I’ve always felt that if his stay on planet Earth had not been so brief, he may have ultimately gotten into the use of sound as a healing modality. Many of his songs were mythical and magical (talking about everything from a universal Axis of consciousness to UFO’s and such). I remember a rare interview from Hawaii that was one of his lasts in which he talked about the relationship of frequencies and colors, as well as the ability of sound to create different states of consciousness. I think he would have found this sound healing arena quite amazing. As I’ve mentioned, on occasion I play guitar—usually electric guitar in fact. And a few of those times over the years when I’ve been playing my Stratocaster, it feels like I’m channeling Jimi Hendrix. Really. It hasn’t happened for a while and perhaps it won’t happen again. But when it did, it was quite marvelous. It was almost as though I was out of my body and somebody else was playing my guitar. Only that wasn’t quite it— if I thought of something, I simply could play it. Usually, during those times, there would be a part of my consciousness that was separate from the person who was actually holding down the frets and picking away at the strings. This part of my consciousness would be thinking: “how am I playing this?” That’s all. Because during those times, whatever I thought about playing, I could play. It was wonderful and lovely. And it made no sense because I was doing things I didn’t know how to do. Thus, my supposition that I was somehow musically channeling Jimi Hendrix—since I’ve always had a great resonance with his playing. Maybe, of course, it could have been my imagination, but regardless, my ability to play what I thought was definitely not imagined. It was real. True, it was rare. But it was real. Another thing about these types of experiences of channeling Hendrix involved my use of feedback. Because feedback was one of Hendrix’s trademarks and he did it mostly without a lot of the equipment that is now standard among musicians—equipment that now easily allows you to sound like Hendrix. Much of it is digitally sampled and sounds quite good. But of course, when Jimi Hendrix played, he didn’t have such equipment. Nevertheless, he was able to get sounds out of his guitar and amplifier that are still quite mysterious to those who hear his recordings. It was as though he controlled the feedback, rather than being victimized by it. Once again, when I have been in those states when I’ve “channeled Hendrix” and was playing around with feedback, it was almost as though the feedback was responding to my thoughts and my consciousness. In fact, I’d say there was a “feedback loop” (to use an expression I’ve already delved into) that occurred between myself and the sound. At the times when this happened, it was so spontaneous and outrageous, that I merely experienced the sound without paying much attention to how I was doing it—except to think: I can’t be doing this. I don’t know how to do it. But, of course, I was doing it. I share this above information with you because I’m sure there are many musicians out there who have had similar experiences—perhaps not “channeling Hendrix”, but nevertheless, being in such a zone or state of consciousness, that they were able to make the impossible become possible. Or somehow disassociate to such a degree that the music truly came through them and not from them. (This may be the ultimate place to create music, but it does seem much too rare). I know people talk about such a zone in sports and I perceive that this zone also occurs in almost every activity—particularly, in the act of creating music. During these times, there’s magic afoot. I don’t necessarily think that everyone has experienced this magic, but I do think that there are a lot of folks who have had some pretty interesting experiences at one time or another of playing music that doesn’t seem to be coming from them. Through them, yes; not necessarily from them. For many of us, it’s magnificent to be playing a musical instrument, far above the level that we normally are at. For others, it’s singing songs in a voice we never knew we had. I wrote about Jimi Hendrix in the above article, but there have been others who have come through me—and perhaps stayed. One time I recorded the Gyume Monks in the mid 1980’s. It was actually the first time these magical monks had ever been to the United States and in a recording studio. They, of course, are the first tantric school from Tibet that utilized the “Deep Voice” that many of us have become rather familiar with in the last couple of decades (but was at the time enormously mysterious). I returned from the recording studio with a cassette of the session that I had recorded with the monks. Then, I went to sleep in the middle of this enormous crystal grid that I had at my home at the time. I listened to the growl- like tones of the Gyume Monks as I wrapped myself in the arms of Morpheus. When I woke up, the first thing that came out of my mouth was the “Deep Voice” of the monks. 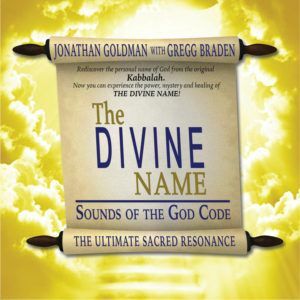 This sound had actually been something I had unsuccessfully tried to do for a number of years before (this experience is chronicled in my first book HEALING SOUNDS). Somehow, magically, that morning, I experienced the voice. And it has been with me since. I have no explanation for what occurred with the Gyume Monks—definitely a number of different thoughts, but nothing coherent. When I told the story to my friend Don Campbell, he just simply said: “Oh, that’s an example of ‘Harmonic Transmission’. How wonderful! “ Harmonic Transmission? I had never heard the word before, but it seemed to be the almost magical gift of sound from one person to another. Somehow the Gyume Monks may have transmitted some sort of extraordinary ability to me through being in their presence. And that’s as good an explanation as possible. It’s an ability I always ask for when I teach hoping to give others ‘Harmonic Transmission’. 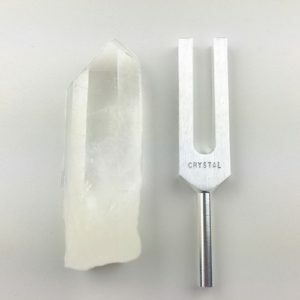 So, from Jimi Hendrix to the Gyume Monks, I’ve shared a couple of personal stories of seeming to manifest new and different sounds. Channeling? Harmonic Transmission? Whatever—it is an extraordinary phenomenon. And one that I know many of you may have had. Perhaps, if you are moved, feel free to share your own stories of peak experiences stories and higher states of consciousness related to sound and music. It would make for great reading for many! The first time circular breath, Didge, and I connected; It was Summer in Queensland Australia, I was sitting on the ground by the fire on a starry night with my Didge and 2 dogs sleeping near by. At the time I was about 3 weeks into the practice of circular breath. That evening something I had been learning and trying to do suddenly clicked and there was no more trying. The disassociation Jonathan talked of, not trying to play, music/vibration/frequencies flowing thru. It felt like something shifted. I immediately noticed the sensation of the continuous vibration and frequencies thru my body. I warmed and tingled, my mind and hearts thoughts went to our Ancestors, the Old People. There was; Only then, that space, yet also everything, a bubble which began to expand… Feeling the vibration of my internal space, chest, stomach, head, the vibration of the Didge thru the Earth below me, the sound around. As time no doubt passed, I did not notice or perceive it, immersed in the sound and vibration, morphing and pulsing. Anything I thought came into being as sound and vibration, texturising and overtones flowed with no technical knowledge of what was occurring. Circular breath creates a highly oxygenated brain and some lovely spacial feelings and on occasion perceived colors and visuals. The stars, the space between things. A wonderful sense of connection to the space above, earth below and warmth inside. A feeling that I felt drawn to share since that time, via music and workshops so that others may learn and experience. 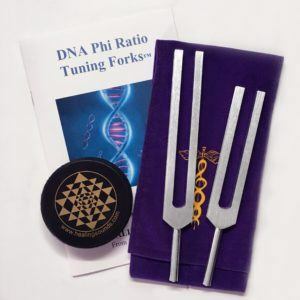 When I play Didge for sound baths to this day I feel a similar experience to my first night, connecting with the vibration, expanding below, connecting above and simply being flowed thru. It is both a real and unreal experience 🙂 I always like a cup of tea and a snack to help me come back to Earth after playing and especially before driving! Thanks for the most interesting read and sharing of personal experiences Jonathan. Some years ago I went to see a group called AMM, who improvise in rather an unusual manner, in London. I knew nobody at the concert and immersed myself in their music. There was a man playing a guitar which was laid in front of him on a tabletop, the drummer was playing his cymbals with a violin bow and the pianist was definitely from the John Cage school. I guess most people might call it abstract. After the hour or more that they played I left, still without speaking to anyone, and caught my bus home, sitting upstairs at the front window. There were two separate conversations going on behind me but whereas usually I might listen to the words and meaning of these conversations on this evening I heard these people as musicians. The two couples appeared to be dueting with each other, the sound of their voices had rhythm and even melody. And not only were they relating to each other through sound in a way that I heard as music but the two separate conversations appeared to be part of a larger ‘composition’. On returning to my flat and conversation with my flatmate I soon returned to a ‘normal’ state of consciousness, my brain was filing and analyzing sounds as usual but for a while I had had a distinct experience of something beautiful that was hidden in our ordinary reality.